One question a landlord has to ask each time they fill a vacancy is whether the new applicant is telling the truth about their income. But perhaps the better question is this: Can you afford to take that risk? Verifying income is key to choosing the right tenant–and it’s easy if you develop a system and apply that policy to every applicant. Start with a solid rental application. Ask for a monthly income figure from all sources set out on the page for easy reference in weeding out unqualified candidates. Include a declaration at the end of the rental application, above the applicant’s signature, that spells out the consequences of providing false or misleading information — rejection of the application, termination of the lease and eviction. This declaration must also provide consent to a tenant background check in order to verify the information provided. It is important to place the onus on the applicant to provide you with the documentation you need to prove their income is sufficient to pay the rent–regardless of where that income may be coming from. Follow up by ordering a credit report to verify financial responsibility and uncover any false statements. You will need to decide what the income cut-off is for the property ahead of time. 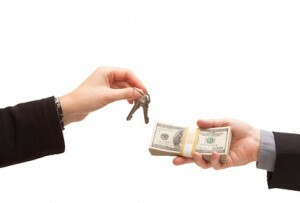 Most often, landlords look at a ratio where rent is about one third of gross income. In high-rent areas like resort towns, that figure likely will be closer to one half–or you may not find any tenants. You will get into trouble if your requirement is on a sliding scale–you let one tenant rent at one-half income to rent ratio, yet reject the next applicant based on a one to three ratio. You must treat all tenants equally. You can’t reject a tenant because of where their income is coming from. In case of government assistance, you must allow the applicant the same opportunities as any other. However, you do have the right to reject any applicant if the income is not sufficient to cover rent. You also have the right to reject a tenant who cannot–or will not, produce proof of income. Remember that income verification is only half the equation. You will still need to determine tenant worthiness. Take the time to talk to the previous landlord to verify that the applicant has a good rental history. What a great resource! You have described very clearly what needs to be done to protect such a valuable investment. I contend that, if a tenant truly wants to be your tenant, then he will provide you with the documentation necessary to prove credit worthiness. However, too many landlords do not follow this belief and get into financial trouble as a result. Thanks for writing, hopefully those who do not follow these suggestions will do so.